PHMSA seeks comments on additional proposed revisions to Gas Distribution Annual Report. On August 14, the Pipeline and Hazardous Materials Safety Administration (PHMSA) issued a notice requesting comments on additional proposed revisions to the gas distribution annual report form (PHMSA F7100.1-1), and indicating that the agency will submit a revised information collection request to the Office of Management and Budget (OMB) for approval. PHMSA’s notice responds to comments received from the American Gas Association (AGA) regarding revisions proposed in April 2014. The proposed report form would revise the definition of “Reconditioned Cast Iron,” change the “Material or Weld” leak category to “Pipe, Weld Or Joint Failure,” and revise the report’s instructions to include damage to tracer wire as excavation damage. Comments on the notice and revised forms are due September 15, 2014. Updates on status of PHMSA Rulemakings-key NPRMs pushed back. The table below reflects information on the status of PHMSA rulemakings as reported in the Department of Transportation’s (DOT) August Significant Rulemaking Report. Additional information from the OMB Office of Information and Regulatory Affairs (OIRA) is here. New information in the table is reflected in bold. OIRA has received PHMSA’s draft notices of proposed rulemakings (NPRM) for excess flow valves and the safety of onshore hazardous liquid pipelines. Under Executive Order (EO) 12866, OIRA reviews these proposals to ensure consistency with applicable law, the President’s priorities, and the principles set forth in the EO. OIRA will also ensure the proposals do not conflict with another agency’s policies or actions. Under the EO, OIRA is to provide PHMSA the results of the review within 90 days, unless that period is extended for an additional 30 days. Note that DOT has moved back estimated publication dates for several rulemakings, including the anticipated proposed rules for onshore hazardous liquid pipelines and gas transmission pipelines. DOT has accelerated by several months the anticipated publication date of a new NPRM that will address operator qualification, cost recovery, incident reporting, CO2, special permit renewal, and other issues. New content on PHMSA’s YouTube channel. PHMSA has posted a variety of new content on its YouTube channel. Topics include pipeline inspections and detailed coverage of PHMSA’s July 2, Pipeline Safety Management Systems Workshop and August 5, Workshop on Managing Pipeline Cracking Challenges. TSA renews information collection request for Top 100 Most Critical Pipelines. On August 18, the Transportation Security Administration (TSA) published a 30-day notice seeking a second round of comments on a proposed renewal of an information collection request, under which TSA will collect, on a voluntary basis, site-specific information from pipeline operators on facility security, policies, procedures, and physical security measures. TSA previously published a proposed information collection request in May 2014, in which the agency indicated it will continue site visits, but will collect site-specific, rather than corporate or company-wide, security management plans. Comments are due directly to OMB by September 17. NTSB proposes mode-specific investigation procedures. On August 12, the National Transportation Safety Board (NTSB) issued a notice of proposed rulemaking that would amend the agency’s investigation procedures by reorganizing them into distinct, mode-specific subparts, including a new subpart entitled “Railroad, Pipeline, and Hazardous Materials Investigations.” Comments are due October 14. The U.S. Coast Guard proposes to increase liability limits under Oil Pollution Act. On August 19, the U.S. Coast Guard published a notice of proposed rulemaking that would increase liability limits for vessels, deepwater ports, and onshore facilities, including pipelines, under the Oil Pollution Act of 1990 (OPA 90) to reflect increases in the Consumer Price Index (CPI). For onshore facilities, the Coast Guard proposes to increase the OPA 90 liability limit from $350 million to $404.6 million. The Coast Guard also proposes simplified procedures for making future CPI adjustments to OPA 90 liability limits. Comments are due October 20. Pacific Gas & Electric Company pleads not guilty to new charges. On August 18, Pacific Gas & Electric Company pleaded not guilty to new criminal charges that were contained in a superseding indictment filed by the United States on July 30 relating to the September 2010 natural gas transmission line incident in San Bruno, California. API and AOPI will host damage prevention online workshop. On September 24, 2014, the American Petroleum Institute (API) and Association of Oil Pipe Lines (AOPL) damage prevention team will host its 2014 Damage Prevention Workshop. Registration information is available here. AB 1937 (Gordon): This bill would amend the California Public Utilities Code to require gas corporations to provide at least three working days’ notice before undertaking any non-emergency excavation or construction activity within 500 feet of a school or hospital. The bill passed the Assembly by unanimous vote on May 23, and was referred to the Senate for consideration. The Senate amended the bill on June 11 to include a 5-year recordkeeping requirement and a provision requiring excavators or operators to comply with the state’s one-call notification requirements. On June 30, the Senate amended the bill to delete a recently added provision regarding excavator or operator compliance with the one-call requirements. The bill, as amended, was passed by both the Assembly and Senate and was enrolled on Aug. 13. SB 1389 (Hill): This bill would prohibit a gas corporation from using the “grandfather clause” in 49 C.F.R. Part 192 to determine the MAOP for an intrastate gas transmission line. The federal pipeline safety regulations currently allow operators to determine the MAOP for a gas pipeline by using the highest actual operating pressure that a segment experienced during the 5-year period preceding July 1, 1970. SB 1389 would prohibit the use of that provision and require operators of intrastate gas transmission lines to determine MAOP solely on the basis of the CPUC’s rules or orders. The bill unanimously passed the Standing Committee on Energy, Utilities and Communications on May 5 and is pending before the Senate Committee on Appropriations. SB 1371 (Leno): This bill would require the CPUC to adopt rules and procedures governing natural gas leakage abatement for regulated intrastate transmission and distribution lines in order to reduce emissions of natural gas. The regulatory proceeding would commence by January 15, 2015, and the rules and procedures would be required to meet the following objectives: (a) provide for the maximum technologically feasible and cost-effective avoidance, reduction, and repair of leaks and leaking components within a reasonable time after discovery; (b) provide for the ranking or recorded leaks and leaking components by volume or energy content; (c) evaluate natural gas leakage abatement practices to determine effectiveness; and (d) establish and require the use of best practices for leak surveys, patrols, leak survey technology, leak prevention, and leak reduction. The Senate passed the bill in late May and referred it to the Assembly for consideration. On July 1, 2014, the Assembly amended the bill, in part, to clarify that the CPUC’s rulemaking is to give priority to safety, reliability, and affordability of service and to clarify that, unless expressly stated, the bill does not alter the CPUC’s jurisdiction over greenhouse gas emission regulation. On Aug. 14. The Committee on Appropriations recommended passage. The Michigan Public Service Commission proposes to incorporate federal safety regulations. On July 17, the Michigan Public Service Commission convened a public hearing on a proposed amendment to its rules to adopt by reference the latest federal gas pipeline safety standards. The proposed rules would also adopt updated technical standards and clarify the requirements related to the disconnection or abandonment of indoor gas facilities. *New Mexico Public Regulation Commission initiates proposed rulemaking on excavation and One Call Requirements. On July 9, the New Mexico Public Regulation Commission issued an Order Initiating Proposed Rulemaking to amend certain rules regarding “Pipeline Safety Excavation Damage Prevention” and “One Call Notification Systems Requirements for 811 Services.” In pertinent part, the proposed amendments would require the establishment of a “positive response registry system,” and update underground facility operators’ (UFO) response requirements to excavation locate requests to include a “positive response” even if the UFO determines it has no facilities within the proposed excavation limits. The proposed amendments would also make failure to provide positive responses, pre-mark the intended site, or report damage a willful violation. Initial comments were due August 15. Response comments are due by September 10, and a public hearing is scheduled for September 24. *Public Utilities Commission of Ohio amends Gas Pipeline Safety Requirements. On July 30, the Public Utilities Commission of Ohio (OPUC) issued a Finding and Order amending its intrastate gas pipeline safety regulations. The OPUC amendments (1) define leak detection equipment; (2) require evaluation of repaired or reclassified grade one leaks within 30 days; (3) increase the monetary threshold for submitting construction reports for additions to intrastate gas pipeline facilities; and (4) require distribution operators to incorporate new construction, including riser installation, into their operator qualification programs. HB 483 (Amstutz): As recently enacted, this bill allows the Ohio Public Utilities Commission to waive the pipe design requirements in Subpart C of 49 C.F.R. Part 192 for operators of “gas gathering pipelines” and “processing plant gas stub pipelines.” Note that an earlier version of the bill had proposed to increase the maximum civil penalties for pipeline safety violations to $200,000 per day, per violation, not to exceed $2,000,000 for any related series violations, but that this provision was removed prior to final passage. HB 1607 (Baker): The bill would amend Pennsylvania’s Underground Utility Line Protection Law (One-Call Law) and extend the sunset date of the Act through 2021. In general, the bill would transfer enforcement authority from the Department of Labor and Industry to the Pennsylvania Public Utility Commission; create a Damage Prevention Committee; place additional obligations on facility owners, excavators and project owners; and create an administrative process for the determination of violations and the assessment of penalties. On June 27, the House passed the bill, and it has been referred to the Senate Consumer Protection and Professional Licensure Committee. *SB1459: This bill would amend Pennsylvania’s Underground Utility Protection Law to require the use of steel products made in the United States for any “construction, reconstruction alteration, repair, improvement or maintenance of gathering lines.” The bill was referred to the Senate Consumer Protection and Professional Licensure Committee on July 31. *SB1458: This bill would require the use of steel products made in the United States for “casings or other safety devices” used in drilling oil or gas wells. The bill would apply only to devices added on or after the effective date. The bill was referred to the Senate Environmental Resources and Energy Committee on July 31. Washington proposes civil penalty cap increase. 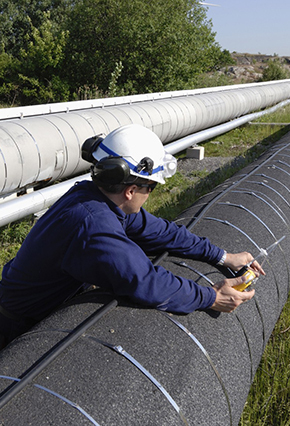 In May, the Washington Utilities and Transportation Commission (WUTC) proposed amendments to its intrastate gas pipeline safety regulations to increase the maximum civil penalties for pipeline safety violations. The proposed amendment would increase the maximum per-violation penalty from $100,000 to $200,000 per violation, and the maximum penalty for a related series of violations from $1,000,000 to $2,000,000, consistent with federal limitations in the Pipeline Safety Act. The WUTC convened a hearing on the proposed amendment on July 2 in Olympia. More information is here.